One of Canada's most famous aircraft producers is Zenair, a sister enterprise to Zenith Aircraft based in the USA. From the 1982 vintage Jesse Anglin's J6 Karatoo comes L'il Buzzard, introduced in 1990. Background: A development of the 1982 vintage Anglin J6 Karatoo, the L'il Buzzard was introduced in 1999 - Specs or order: here. L'il Huster and L'il Buzzard are kit aircraft with professional builder assist available. You may not be thinking about it now while the snow swirls and piles up in mountainous white drifts, but in a few months, Canada will again be a very scenic place to fly. May an American LSA owner do so? While a growing number of countries around the world have been steadily embracing use of ASTM standards — as are used to gain FAA acceptance in the U.S. — Canada has resisted the trend. 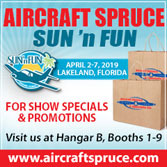 America's neighbor to the North has another category called Advanced Ultra-Light Aeroplane (AULA) that is very similar to LSA and has worked for Transport Canada for years. Canadian authorities have subtly changed the game and relaxed the cost of flying your Yankee LSA north of the border. According to writer Patrick Gilligan, "An exemption by Transport Canada (TC) makes it more affordable and less onerous for Light Sport Aircraft (LSA) from the United States to be flown into Canada." Gilligan continued to explain (original COPA article) saying that American LSA owners simply have to download and complete a Standardized Validation form (available here). The good news is that a former $100 fee has been eliminated. The bad news is that TC still requires a private pilot certificate with a valid medical. How about Canadians who want to own and fly a LSA in their home country? TC is still considering industry proposals. However, Gilligan wrote, "While the recommendations work their way through the bureaucracy, there are three existing aircraft categories into which a LSA can be registered in Canada." 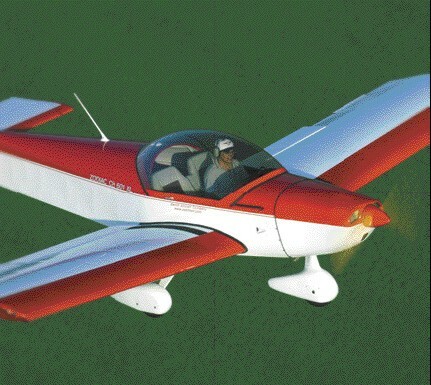 Method one is that LSA can be registered in the Advanced Ultra-Light Aeroplane (AULA) category. 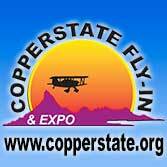 (A Basic or BULA category allows for simpler, more American-style Ultralight Aircraft.) 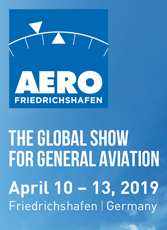 The manufacturer must make a "Fit for Flight" statement, conform to AULA standard TP10141, appear on TC's eligible list, and meet other conditions which can be found here. The aircraft cannot gross more than 1,232 pounds with no float allowance. Method two is LSA can be registered in the Amateur-Built category. Aircraft in this category have no weight or seat limitations and "LSA ASTM maximum takeoff weights are 1,320 pounds or 1,430 pounds if the aircraft is operated on floats." 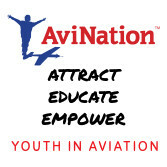 An LSA using this category must meet a 51%-owner-built requirement and the aircraft must be on the joint FAA/TC eligibility list or pass a determination. Gilligan added, "The pilot/owner must hold an appropriate license to fly the aircraft in Canada, which is at least a pilot permit-recreational or a private pilot license." Method three is that LSA can be registered Limited Class, which was developed to allow old out-of production, non-certified aircraft but LSA can be included in this category. Gilligan explained, "This category does not have a weight limitation but LSA ASTM maximum takeoff weights are 1,320 pounds [with a] 1,430 pound allowance on floats." A Special Flight Authority application is required for flight into U.S. airspace. Special approval is needed from Transport Canada. Most countries, even those that say they fully embrace Light-Sport Aircraft approved to ASTM standards, tend to add some of their own regulation. So Canada can hardly be blamed for sticking to their AULA sector, which has a far longer history than FAA's SP/LSA rules. It appears most government agencies prefer to show their independence and not perfectly imitate FAA. 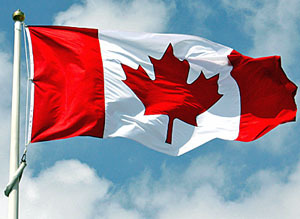 While LSA are now better accepted in Canada, authorities in that country do not presently welcome flying by those holding a Sport Pilot certificate. 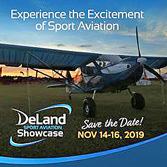 So far only the only country outside America that does accept Sport Pilot is the Bahamas. You'll still need a medical and your Private certificate or better but duly licensed Americans can at least fly their LSA over the many lovely parts of Canada. You may not be thinking about it now while the snow swirls and piles up in mountainous white drifts, but in a few months, Canada will again be a very scenic place to fly. May an American LSA owner do so? While a growing number of countries around the world have been steadily embracing use of ASTM standards — as are used to gain FAA acceptance in the U.S. — Canada has resisted the trend. America’s neighbor to the North has another category called Advanced Ultra-Light Aeroplane (AULA) that is very similar to LSA and has worked for Transport Canada for years. Canadian authorities have subtly changed the game and relaxed the cost of flying your Yankee LSA north of the border. 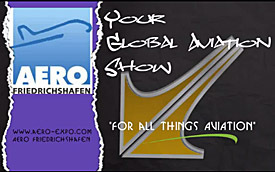 According to writer Patrick Gilligan, “An exemption by Transport Canada (TC) makes it more affordable and less onerous for Light Sport Aircraft (LSA) from the United States to be flown into Canada.” Gilligan continued to explain (original COPA article) saying that American LSA owners simply have to download and complete a Standardized Validation form (available here). From this photo, you might think you're looking at the interior of a racy sports car, but it's actually the interior of the sport Zodiac CH 601XL, which should have nice appeal to folks who want an airplane that looks and feels a bit more modern. 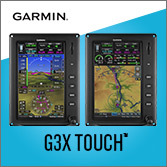 A center-mounted, Y-shaped control stick allows the pilot or co-pilot/passenger easy access to the stick. Dual throttles and carb heat pulls, along with a panel that's entirely visible from either pilot position all add up to making the XL a reasonably able trainer aircraft as well. Wheel pants on the XL serve to reduce drag|unless the nosewheel is slightly cocked in flight, as Dan Johnson learned during his flight test. The XL is also the first Zodiac model to use a Cessna/Wittman-style spring steel gear. Large, electrically operated flaps help slow the 601XL to light-sport-aircraft-acceptable stall speeds (39 knots-44 mph-is the maximum stall speed for this proposed aircraft category). Zenith suggests that pilots lower the flaps so that passengers can step onto the wing easier to exit and enter the aircraft. The Zodiac line of aircraft pioneers the use of a "hinge-less" aileron system wherein the top skin of the aileron is riveted into the trailing edge of the wing and flexes to provide aileron deflection. At the same time, according to Zenith aircraft, it provides a very effective gap seal. The elevator on the XL pivots on a piano hinge, while the elevator trim tab is adjusted electrically via a small motor mounted in the elevator. This profile shot of the Zenith Zodiac CH 601XL gives a good view of the airfoil of the wing. The allmetal, two-seat, side-by-side aircraft meets the proposed light-sport aircraft parameters, making it a natural choice for sport pilots who like metal airplanes. On the ground, we get another good look at the thickness of the airfoil on this aircraft. Note also the open canopy on the XL, which now flips forward, making it easier for pilot and passenger to get in the aircraft at the same time. Other models in the Zodiac line feature a canopy that opens to each side, but only one side can be open at a time. The one-piece, flip-up canopy also makes it easier to taxi with the canopy ajar to allow cooling air inside the cockpit. Chris Heintz’s Zodiac CH 601 XL design fits perfectly Chris Heintz is a respected designer of light aircraft, and the Zenith Aircraft Co., led by his sons Sebastian and Nick, is a successful kit manufacturer with worldwide impact. 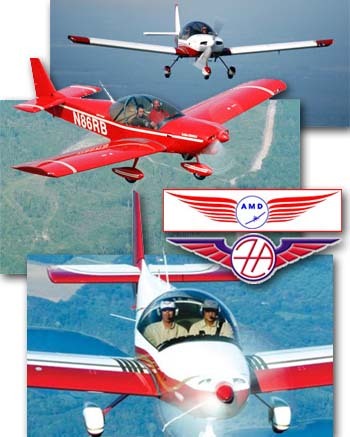 The company’s Zodiac line is a well-accepted series of aircraft with good performance and handling. So, why did I think the Zodiacs were boring? The answer’s simple—because they look like little Piper Cherokees. Now, both New Piper Aircraft and Zenith make fine aircraft with better-than-expected performance for their class. But they’re just…well…conventional, expected, familiar. They seem to be a factory sedan at a sports car show. A flight in the Zodiac XL with Nick changed my view. I now have a better understanding of the solid reputation of this Canadian designer, this company, and these aircraft. I greatly enjoyed the hour Nick and I spent buzzing about the central Florida landscape. The Zodiac Line Developed by Chris Heintz, the Zodiac line today includes four different models. The HD version was first, and second was the UL model, directed toward the Advanced Ultralight Aircraft categories in Canada and Europe; next came the HDS model with a shorter, tapered, speed wing that imparted both a racier look and better speed. The focus of this report is the latest model to join the series—the Zodiac CH 601 XL—which finds its distinction as an entrant for the proposed light-sport aircraft category. The XL is a near-perfect fit for that category and positions Zenith nicely near the front of the pack for approval once the industry establishes its consensus standards. However, the XL didn’t start out aimed at sport pilot/light-sport aircraft. The largest aircraft of the Zodiac series, this model first sported a Lycoming engine. The XL weighs more than the UL or HD, as will be explained by the features described below. But, with its higher weight allowance, the XL was the logical candidate for the series’ intersection with the light-sport aircraft category and, consequently, sport pilots. And that’s good fortune for Zenith Aircraft. One of the benefits of experimental aviation is the ability of a designer to almost constantly change his creation. Type-certificated aircraft can’t evolve as rapidly, as the process of modifying a type certificate and gaining approval for such modifications from FAA is very slow. FAA hopes that the consensus standards that industry leaders will assemble for light-sport aircraft will permit easier changes because such changes help advance development. Chris Heintz, his family, and staff have taken advantage of this opportunity in the experimental category to evolve the Zodiac series significantly to produce the XL variant. They made changes to the wing, landing gear, canopy, and seats. The XL wing incorporates a totally new airfoil, but it does use the tapered tips of the HDS model; however, the XL’s tapered wing is not the shorter HDS version. Instead it has a 27-foot span. Zenith said the longer tapered wing “provides an efficient cruise speed as well as desired slow flight and gentle stall characteristics.” The CH 601 XL’s new landing gear is now of leaf or slab construction and ties into the cabin structure, and it no longer uses bungee cords. The resulting hardware is cleaner, longer lasting, and easier to build. The nose wheel remains bungee suspended, though. Formerly, the canopy opened to one side, but now it opens forward. While you still need to consider wind direction when opening this large surface, both occupants can exit at the same time. The older canopy would open either way—a neat trick by itself—but you had to enter one at a time or step over. The XL’s rudder pedals are taller and further forward, allowing up to 6 inches of greater fore/aft cabin foot room. I found the interior quite spacious. It appeared able to contain two rather large Americans without squeezing them. Nick and I are somewhat leaner than average, and we had lots of room. In the earlier XL, you sat lower inside the cabin area. Now with the new wing airfoil, which has a less vertically tall spar, the seats are more reclined, which makes for a supportive posture that still assures plenty of visibility. Zenith literature says the seats offer “La-Z-Boy” comfort, and indeed I found the long seat bottom actually restful. I never sat in the older Zodiacs, so I can’t compare the previous style, but the 601 XL offers a certain sports car bucket seat feel. This was one of the first impressions I had that made me change my mind about the humdrumness of the Zodiacs. Nick indicated to me that about 500 pounds of useful load is the target for the 601 XL light-sport aircraft candidate. While Zenith formerly recommended the O-235 Lycoming for this model, the switch to the Jabiru or Rotax increases the useful load and improves fuel consumption, he said. Great Info The Zenith literature package is easily the most complete package I have received from any light aviation company, and I’ve seen many other good ones among the hundreds I have studied. Lots and lots of information is presented with some lovely graphics. In this review, I can only scratch the surface of what it provides. The manual I received had 51 pages and many color photos/artwork explaining the Zodiac line in great detail. Also included is a VHS video. And, the building effort is given particular attention. I’m sure Zenith can’t afford to give these manuals to everyone who requests an information pack, but serious buyers receiving one can certainly become fully informed. Very General Aviation (GA) Like Although I fussed about the Piper resemblance earlier, in truth, this can be a positive quality. The 601 XL imparts a sense of confidence precisely because it looks “like airplanes are supposed to look.” Inside it also has features to ease the pilot’s effort and assure more creature comfort. A gas strut on both sides of the canopy hold it up and allow it to be raised with minimal effort by the occupants. The easiest way to enter the cockpit is to place one hand on the rear support aft of the cabin and the other hand on a handle on the panel just above the radio stack. Then it is a fairly simple step down and inside the 601 XL. But, as you first step up on the wing—no step was provided—you must avoid stepping on the flaps as you enter, as is the case with many GA planes. In the 601 XL, there’s only a latch for the canopy on the pilot’s side, although a wire running through the aft cabin support hoop works a similar mechanism on the right side. It appeared to grab very solidly, and the canopy didn’t move in flight. Our test plane had a panel indicator to show flap deployment in the settings of 10, 20, and 30 degrees. Of course, you could always look out at the actual flap to see its position, but the indicator kept your eyes forward for landing. Zenith factory pilots recommend you lower the flaps for entry/exit into the aircraft to make them easier to step over. The flaps are operated electrically and move quite swiftly. Nick told me that I could lower them before slowing to the white arc range as long as I didn’t put down full flaps above white arc speeds. I hit the switch carefully to avoid this. But with a few deployments, you get the hang of the fast-moving flaps. A Jabiru 3300 engine powered our test XL, and like several other starts of this engine that I’ve witnessed in varying aircraft, the 3300 started very responsively. Engine shutdown is simply a key switch off…just like the family van. One non-GA-like feature is the XL’s center stick. Most GA airplanes use yokes, yet many sport pilots prefer sticks (myself included). As Nick and I went flying, he seemed more comfortable being in the left seat where his hands went to familiar places—throttle on the left, stick in the right. Because I have a lot of right-seat time giving instruction, I was happy to fly from the right seat. Having my left hand on the stick is fine for me; indeed the new Cirrus and Lancair certificated aircraft use side yokes where the pilot in command flies with his or her left hand. However, many sport pilots prefer to have the joystick in their right hand, so those aviators will find themselves more comfortable in the left seat. Mostly Ups, Few Downs I’m pleased to report that all my landings went quite well, thanks to a bit of coaching from Nick. Zenith advises against bringing the 601 XL up to a high flare position as you might touch the tail, another trait somewhat common on GA aircraft. As it turned out, I didn’t find it necessary to do full-stall landings, though I had to guard against my ultralight-induced, full-stall landing reflex. Nick’s round-out technique and the one I used on my subsequent landings was to perform an attitude landing rather than a full-stall approach. It worked beautifully, but it does not allow you to slow more dramatically in the event of soft or short field landings. Any GA pilot will find it well suited to them, while some ultralight pilots may want to flare more deeply than 601 XL permits. We used 70 mph on approach, and you can round out at about 60 mph. Again, such speeds seemed more analogous to GA aircraft than ultralights, which very often approach in the 40 to 50 mph range. The 601 XL’s climb rate, using 100 mph for good over-the-nose visibility, at times hit 1,000 fpm with the two of us on board at somewhat less than gross weight. With a climb prop installed to meet the proposed light-sport aircraft speeds, the climb rate might exceed 1,000 fpm. This impressive climb is one of the benefits exchanged for the XL’s higher approach speeds. Steep turns done at 45 to 50 degrees were tractable, steady. No extra power was needed as is the case in most aircraft, and this probably also explains why almost no back-stick was needed to maintain a turn at a constant altitude. It reveals the Zodiac as an efficient flying machine. Some of the success of the airplane’s flight characteristics no doubt derives from Chris Heintz’s use of an all-flying rudder. Much like a stabilator for horizontal tails, the all-flying rudder—which has no fixed surface—is said to promote a cleaner airflow across both sides of the surface. Smoother movement across the surface generates less flow separation on the lower pressure (or downwind) side. I found Zodiac XL’s pitch a little on the sensitive side, although the controls gave good feedback to movement and were not at all tricky. In a couple hours, you’d get very used to the effortless feel. In flight I’d sometimes notice that the nose was cocked off to one side. This position may have been generated by an extended wheelpant on the nosewheel and assumes I had the rudder pedals in a slightly asymmetric position. Nosewheel fairings look good and reduce drag, but they can add drag if not correctly positioned. My full stalls produced a reading on the airspeed indicator (ASI) in the high 20s, although clearly the ASI in this range isn’t to be trusted. Zenith literature says 44 mph with full flaps. Regardless of actual speed, the stall was clearly very slow, with very benign qualities and no tendency to fall off on a wing. It made me realize that I could approach much slower with practice, perhaps down toward the normal ultralight of “50 is nifty” range. When I did my favorite coordination exercise—that is, Dutch rolls—very little rudder was needed; the ailerons are nearly sufficient on their own. The coordination between ailerons and rudder was very pleasant in the 601 XL, perhaps partially because of the full-flying rudder design. Adverse yaw is very modest. I found only a slight hesitation before initiating a normal coordinated turn. I saw no tendency to turn in the opposite direction in any adverse yaw trials. Such good behavior further enhances the GA airplane image. In cruise mode the Zodiac XL transmitted a zippy sensation. The numbers don’t correlate perfectly to the sensation of speed; perhaps it was the open bubble canopy, which ensures massive visibility and also a sense of motion. In other words, it seemed like we were flying faster than we were. The canopy was lovely even in the powerful Florida sunshine (I flew wearing my ball cap). While doing steep turns it was easy to visually check that the maneuvering area was free of other traffic. In straight and level flight, my view of the world was enormous in every direction except downward. The 601 XL feels very solid in the air. Nick explained that the design is rated to 6g’s plus or minus. That doesn’t mean you should reconsider learning how to do outside loops if you build a Zodiac, but you’ll have a tough machine. Get Going! The new light-sport aircraft category, as proposed, will allow aircraft to cruise at 132 mph. The CH 601 XL is right on the money and flies wonderfully at that speed. 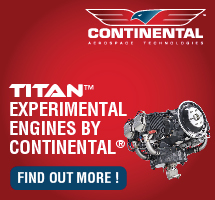 Our test aircraft used the six-cylinder, 3300-cubic-centimeter Jabiru engine. 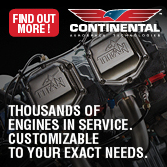 You can use that Australian-designed engine or the Austrian Rotax 912S for your powerplant. Zenith no longer recommends the O-235 Lycoming for the light-sport aircraft XL model. Nick described onboard fuel as 13 gallons per side for a total of 26 gallons (24 usable). With the 3300 Jabiru, that translates to about four hours of operation. Consumption is about 6 gph at 2800 rpm, a setting you might use in cruise. 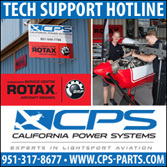 Rotax offers a much better engine regarding fuel economy, with 24 gallons lasting six hours at a seven horsepower sacrifice. However, given the limitations of the proposed light-sport aircraft rule (115 knot cruise speed), it appears to me the 912S offers more than enough power and goes significantly further on CH 601’s fuel load. For those who really want to go far between bathroom breaks, Zenith offers an extended range tank option. 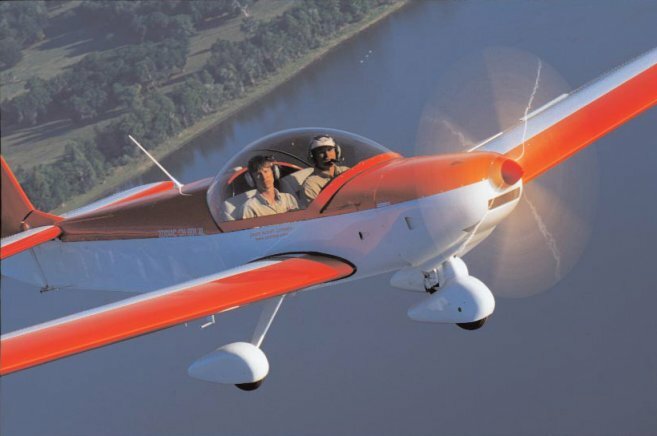 The CH 601 XL cruises at about 140 mph at 2800 to 2900 rpm; however, Zenith will use a different prop for the light-sport aircraft version, Nick said. No one knows yet how this speed limit will be measured (or enforced), but because the speed limit is a clear focus of the proposed rule, a few props will surely be specified as acceptable for the proposed rule to slightly restrain Zodiac’s speedy ways. I saw very little temperature variation from the Jabiru engine, even though it was about 85°F that day, and we remained in the warm, humid air at a couple thousand feet off the ground. Zenith’s use of a two-blade prop with a lot of twist near the root provides added cooling air to the engine. 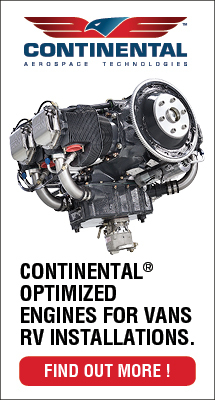 This Jabiru engine has been impressive in several aircraft I’ve flown, and its slightly higher fuel consumption shouldn’t be enough to push you away from the Australian choice. Is It the Right Buy for You? As the sport pilot/light-sport aircraft proposal approaches final resolution, the airplanes that will qualify under the stillto- be-devised consensus standards will start to emerge. Many of these aircraft, I predict, will be designs from overseas. These designs may catch your attention, but the ones you’ve known about for 20 years may seem to be—and may actually be—the better choice. Zenith is certainly among the standard-bearer brand names for North American pilots. My best advice is this: If you’re seriously evaluating the purchase of a Zodiac, talk Zenith out of its literature package with the videotape. The literature alone is impressive, but the volume of information will keep you reading for hours. You can get a good idea of what you’re buying without ever leaving your chair. The complete airframe kit for the Zodiac XL sells for $15,890. Not included in this price are the firewall-forward package, instruments, paint, or upholstery. The company sells the 912S for $11,550, and you’ll also need the installation mounting accessories—$3,700, plus some basic instruments for $1,000 more. These items add up to more than $32,000, and you haven’t painted or finished an interior yet. My estimate is that you are looking at $35,000-plus for a flyable kit. Zenith didn’t wish to discuss figures about fully built aircraft yet, but I would guess $45,000 to $50,000 for a flyaway Zodiac XL. If you make the purchase, look what you’d have: a conventional-looking light aircraft with handsome performance for its class, very cooperative handling, and room for two to travel. At 130 mph in good comfort with an enormous view, you and a friend could cover 600 to 800 miles in a day’s flying. A 200-mile outand- return flight would consume the morning. Sounds like fun to me. Chris Heintz’s Zodiac CH 601 XL design fits perfectly Chris Heintz is a respected designer of light aircraft, and the Zenith Aircraft Co., led by his sons Sebastian and Nick, is a successful kit manufacturer with worldwide impact. The company’s Zodiac line is a well-accepted series of aircraft with good performance and handling. So, why did I think the Zodiacs were boring? The answer’s simple—because they look like little Piper Cherokees. Now, both New Piper Aircraft and Zenith make fine aircraft with better-than-expected performance for their class. But they’re just…well…conventional, expected, familiar. They seem to be a factory sedan at a sports car show. A flight in the Zodiac XL with Nick changed my view. I now have a better understanding of the solid reputation of this Canadian designer, this company, and these aircraft. I greatly enjoyed the hour Nick and I spent buzzing about the central Florida landscape. The Zodiac Line Developed by Chris Heintz, the Zodiac line today includes four different models.